Based within Shotts Healthy Living Centre the community café and Co-op is run by a skilled team of staff and volunteers happy to help and serve quality foods to customers and service users, including a variety of healthy options. See below for opening times for the café and co-op, menu and catering details. Please note GBT is a not for profit organisation. Our Community Co-op sells a variety of fresh fruit & veg, and when in season local produced veg straight from the community garden. Examples of produce sold includes; Apples, pears, oranges, cucumber, potatoes(varies types), tomatoes, melon, grapes. Other produce is available as well as seasonal fruit and veg, please get in contact to find out what's in store! 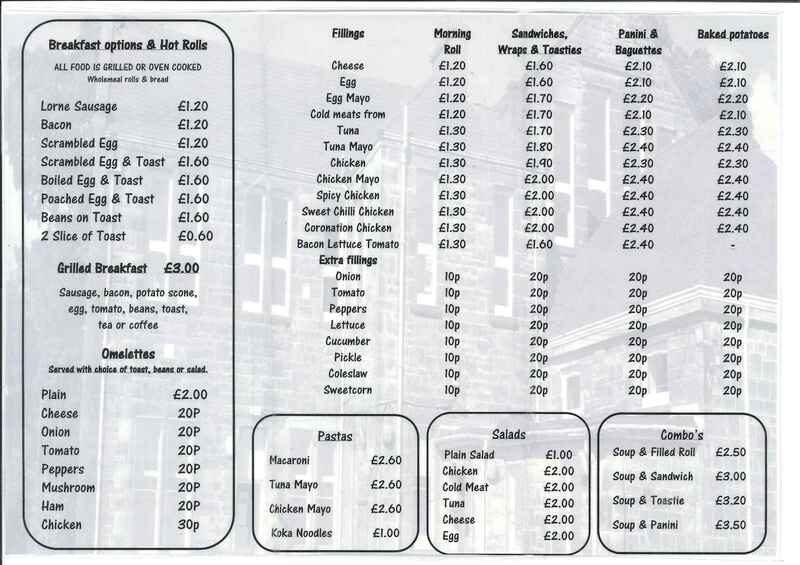 The community café also offer a great catering service offering a hot & cold buffet service. 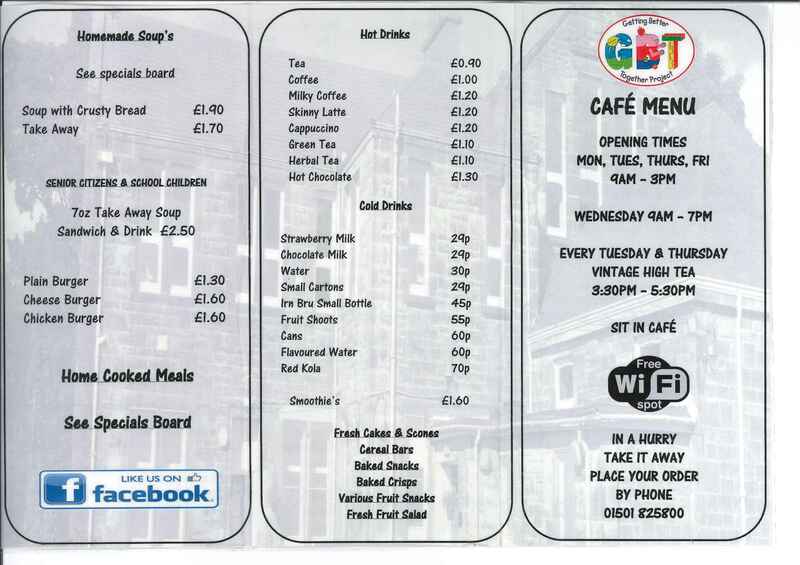 Below is the current café menu, daily specials are also available. Click on the menu to see larger image. Please note café closes at 6pm on Wednesdays, not 7pm as stated in menu.